The late Donald Richie, a legendary chronicler of 20th century Japan, once said that to accept life in Tokyo, you must embrace constant change and not give in to nostalgia. In the 60 years he lived in this great city he saw multiple transformations — from the immediate post-World War II days to the economic miracle of the bubble years. To him, Tokyo was a constant whirl of redevelopment and expansion. It’s hard to not get lost in nostalgia for the old days, though. In the rush to build ever more commercial complexes in Shinjuku and Shibuya, old streets are lost forever. 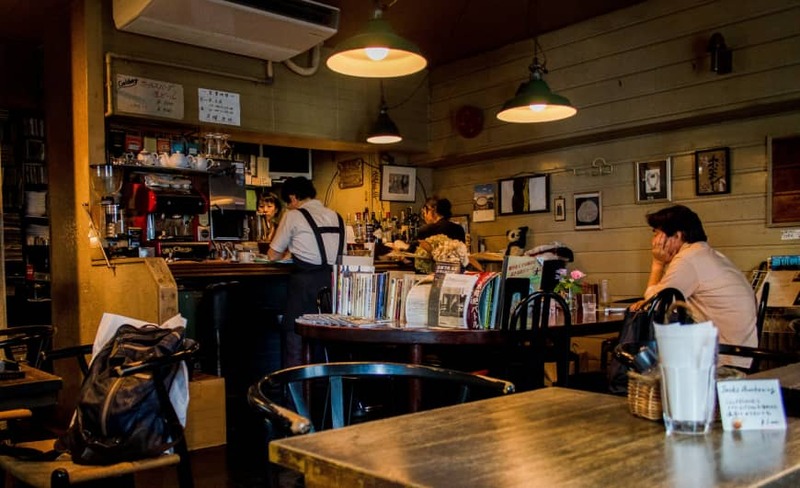 My own version of Tokyo is inextricably intertwined with the world of jazz kissaten — the old cafes where owners play vinyl, regulars drink coffee or whiskey and the digital world is forgotten, if only for a couple of hours. Sadly, we’ve lost one of central Tokyo’s last jazz cafe holdouts with the closure of Mary Jane. The Sakuragaoka block, located south of Shibuya Station, has been demolished to make way for another high-rise development as part of a project to ostensibly improve infrastructure and facilities in the run-up to the 2020 Tokyo Olympics. Yet at what cost? Fujiiya Honten, a basement standing-bar drinking den that had been on the same street as Mary Jane for almost 50 years, also closed its doors in late October. Gone are two icons of Showa Era Tokyo located just seconds from the 21st-century madness of Shibuya’s scramble. But these were not just two spots for older patrons to relive the glory days. Shops like Mary Jane and Fujiya Honten were a shield helping to fight off the corporatization of every aspect of our public lives. Mary Jane in particular carried on the tradition of people gathering to listen to music as part of a community. To share and learn about jazz, the most free of all musical expressions, as part of a group and not as a solitary download at home. I’ve been documenting the world of jazz cafes and tiny jazz bars for more than 12 years now. One thing that stands out about these spots, in addition to the communal aspect of the experience, is the uniqueness of stepping into an old room and being surrounded by the sound of jazz (in whatever genre) coming out the speakers. 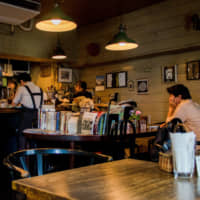 Every cafe and bar is a reflection of its owner’s tastes, so you can hear almost every style of jazz possible, from early Louis Armstong 78s to 1960s fusion to contemporary releases.